The PUMA V400 has the muscle you need. Thanks to its rigid foundation and high power spindle, the PUMA V400 will easily handle long shifts filled with heavy duty cutting. The 3,000 RPM spindle is powered by a 30 horsepower motor, and you can option a two-spindle model for bonus productivity. The cartridge-type spindle and rotating tool holder make the PUMA V400 a breeze to maintain, and you can rest easy knowing any maintenance will be done on the double. The PUMA V400 saves you time all over the place. 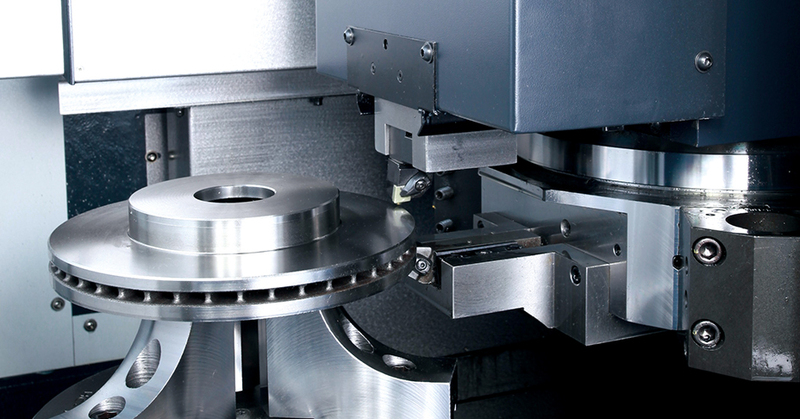 If you want servo-driven reliability and speed and you opt for the 12-station BMT live tooling turret, you’ll get a 0.15 second index time that kicks your machining process up a notch.